“Why do people quarrel?” There could be many answers to this question but one common denominator is that most people quarrel because they disagree and people disagree based on some differences like in opinion or choices and people have differences because they are not ONE or if you like not united. There is a law called the law of synergism. It simply states that when the joint actions of agents are brought together they increase each other’s effectiveness; in other words, the whole is greater than the sum of its individual parts. That is the secret of great soccer, basketball and career teams. One of the greatest bridge builders in the world after building one of the most formidable ones in history said that nothing on top of the bridge could bring it down except if a few hundreds of men marched across it in unison. If however they break their steps and do not march in unison the bridge will not collapse. Therefore unison and oneness on a march across a bridge can bring down the strongest bridge in the world because of the rhythmic oscillation from the united march will make the bridge to lose its strength and thus collapse. When we talk about “ONENESS”, we ultimately refer to a reality beyond “one” as in just one part. Oneness refers to the bond that brings different parts together to form a whole that can in turn be referred to as one. For instance, when we see a human being we say this is a man or a woman as the case may be. However, when we examine the ONE individual closely, we discover that he or she is made up of many external and internal parts that are joined together to form one single person. The same thing can be said of a soccer team, a choir and so on. From the passage above, we discover that the ONENESS of the people on earth at the time brought about the success and progress they recorded in building the city and its tower. When God eventually confused their language and they lost their oneness of language and understanding, they started experiencing problems and eventually everything fell apart. In the Oneness that bring about unity, every part is very important though not indispensable. We can see this from the account of the First Reading (Acts 1: 15-17.20a. 20c-26) where the position of Judas Iscariot had to be filled with another after his infamous act of betrayal of the master and suicide. That position or part of the apostolic college needed to be taken by another person who is qualified to fill it. We can see that the position was important but the person of Judas was not indispensable. Matthias took the position and made up the deficiency of a missing part. 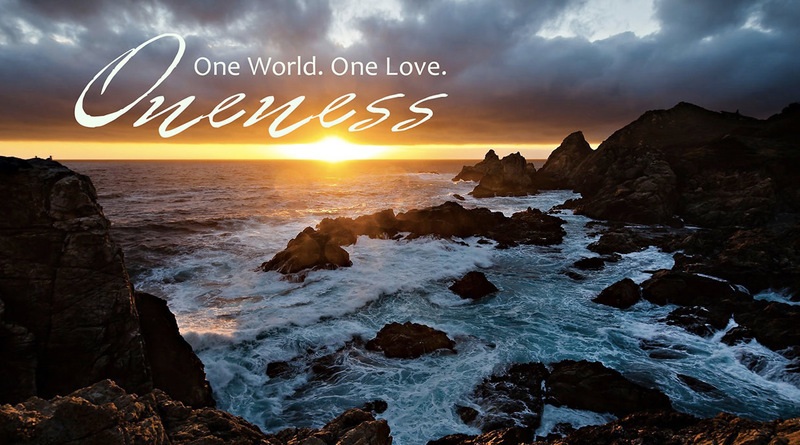 The Second Reading (1 John 4:11-16) tells us about the phenomenon that should actually bind the various parts that make up the oneness. The phenomenon in question is love. The apostle John advised that as God so loved us we should love one another. What this means is that we cannot achieve Oneness nay, unity, if we fail to love. Love thus becomes the adhesive that holds and sustains the unity and oneness that our Lord Jesus Christ prayed for. This Sunday is the last before the Pentecost. Evidently, our Lord Jesus Christ uses this day to prepare the ground before the coming of the Holy Spirit. From what we have here, he was actually saying that before the Holy Spirit comes we should be united as one. We should be bound together in love. If we peep into the upper room before the coming of the Holy Spirit we could see that all the believer were together in ONE place and in ONE accord (Act 2:1). The Oneness is ipso facto a conditio sine qua non for the coming of the Holy Spirit. As we march into the last but one Sunday of Easter and the last Sunday before Pentecost, let us be conscious of the fact that without Oneness we have no future, without unity we fall apart, without being in one accord the coming of the Holy Spirit and the impartation of His gifts and fruits will elude us. Now is the time to mend the fences disunity, now is the time to allow love to mould us and make us one. Do have a most exciting Sunday and a blessed week ahead.